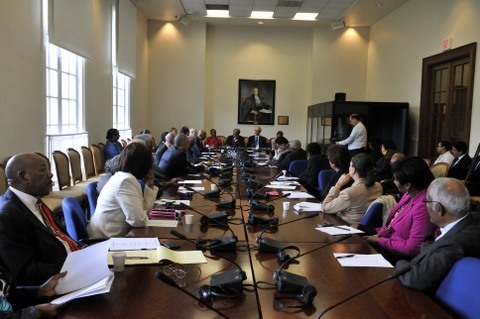 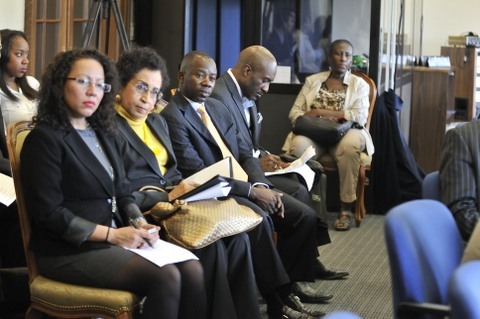 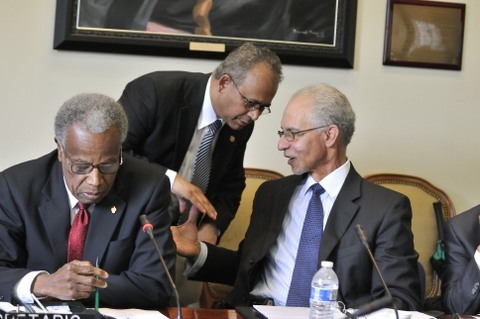 There was overwhelming support for deepening Caribbean integration by the more than 50 participants in a roundtable discussion on “Caribbean Integration: Past, Present, and Future”, held Friday, 12 April 2013, in Washington DC. 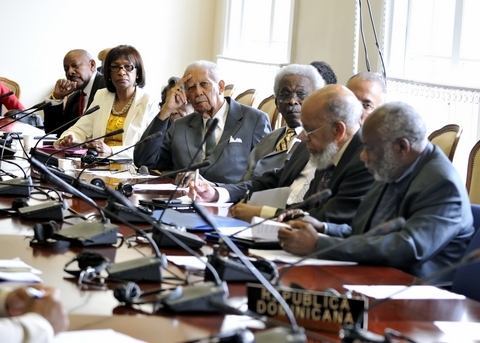 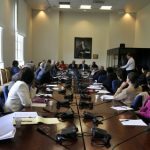 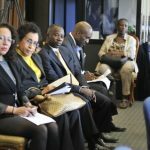 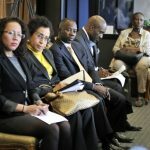 The forum was sponsored and organized by the Caribbean Research & Policy Center (CRPC) at the Organization of American States. 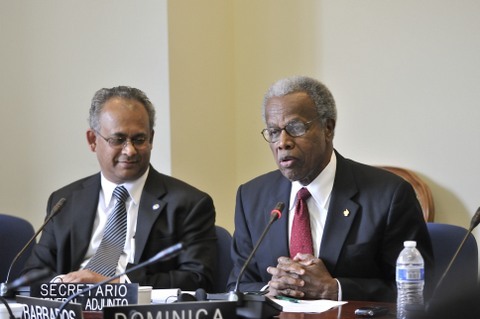 The CRPC chairman, Ambassador Curtis Ward, in his opening remarks thanked Ambassador Albert Ramdin, OAS Assistant Secretary General, for providing the venue, and Sir George Alleyne, Chancellor of the University of the West Indies, who served as moderator for the discussions. 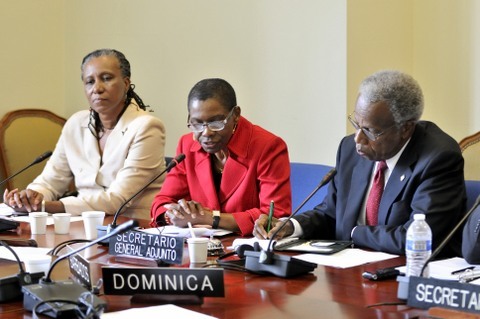 The roundtable discussions were preceded by opening remarks by Ambassadors Ward and Ramdin and Sir George Alleyne, followed by presentations by three panelists, Dr. Dorith Grant-Wisdom, Dr. Edward Greene, and trade law attorney Andrea Ewart. 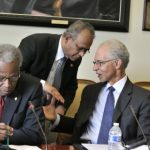 Participating in the discussions were Caribbean ambassadors in Washington, ambassadors John Beale of Barbados, Bayney Karan of Guyana, and Dr. Neil Parsan of Trinidad & Tobago. 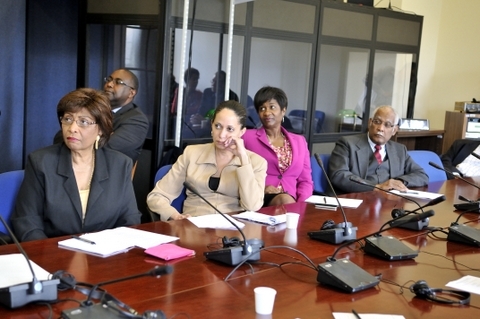 Representatives of Caribbean students attending universities in the region also participated in the discussions. 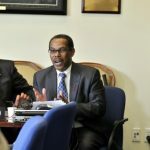 In his opening remarks, Ambassador Ward, in setting the stage for the discussions, stated that Caribbean integration had different meanings for different people. 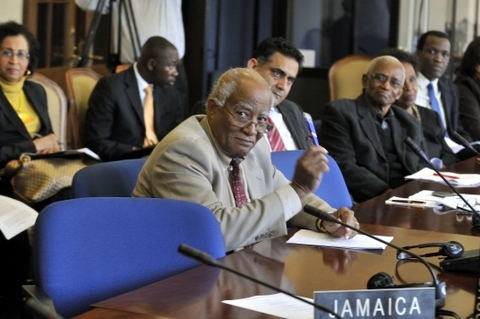 He noted that although past and present Caribbean leaders to varying degrees of commitment and positive action had made Caribbean integration a fundamental issue for the region, “actual implementation of the fundamental requirements of Caribbean integration has evaded us.” He said the process of integration “has been an issue of discussion, action and inaction, successes and failures” throughout the modern history of the Caribbean region. 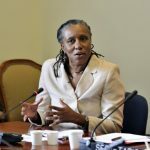 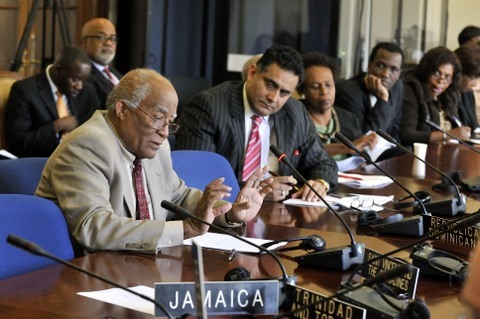 Ambassador Ward noted that many now question the political will of current Caribbean leaders to make integration a reality, and this lack of movement has led former advocates of regional integration to now raise serious questions about the process and the prospect for deeper regional integration. 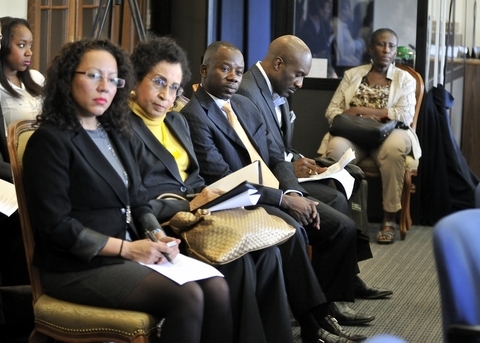 This seemingly lack of political will resonated throughout the discussions. 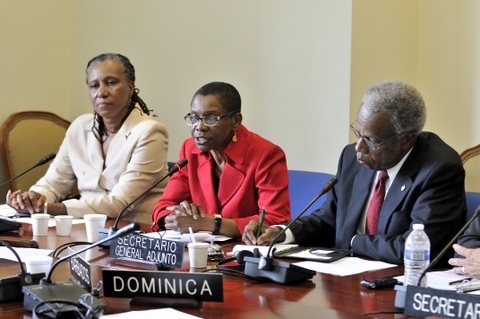 While by no means belittling the difficulties and challenges to deeper regional integration, Ambassador Ward expressed the view, which he said is shared by most Caribbean people, that the fundamental principle of “complete Caribbean integration remains the most viable way forward for the Caribbean in a globalized world.” He said that while globalization is no longer considered to be a new phenomenon, as Caribbean people, we seem not to have understood its implications and how we should respond to its impact on our small countries. 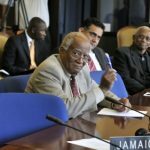 He said that “time and again, we see our Caribbean nations going in opposite directions on foreign and economic policy issues,” which “are either nonexistence or in disarray.” This, he stressed, has resulted in the Caribbean ceding the leadership in the developing world on foreign policy which it enjoyed in the past, and our foreign policy positions are now not taken seriously. 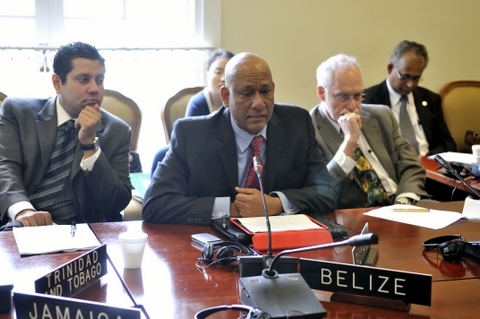 Ambassador Ramdin noted that continued debate on Caribbean integration is important for the region and pledged his support and that of the OAS to the CRPC in future discussions of Caribbean issues. 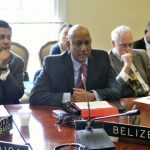 He expressed concern that much of the media reports and recent statements on Caribbean integration have been quite negative. 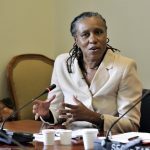 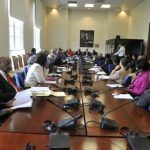 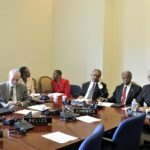 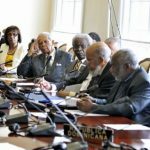 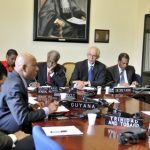 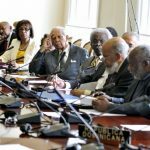 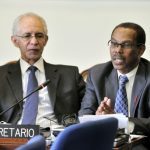 It was his view, however, that the debate we should be having should be far more constructive and point to remedial action towards a positive agenda for Caribbean integration. 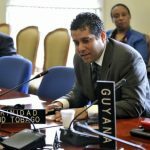 He noted that others from outside the region look at these negative statements and use them to the disadvantage of the region. 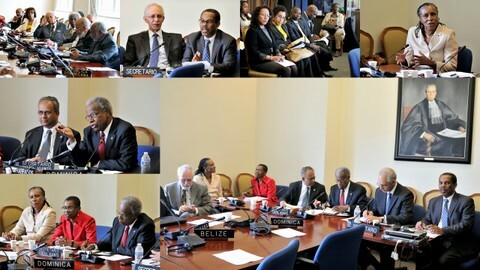 He said, in as much as integration is the only way forward, we should look at global as well as regional implications and find ways for modernization of the integration process. 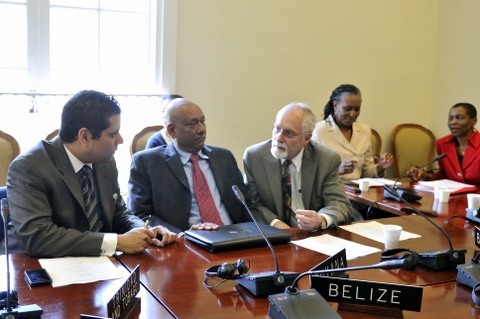 He said the region has the intellectual capacity to find appropriate solutions. 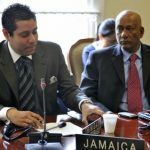 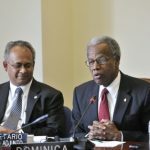 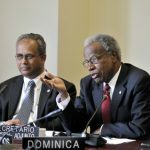 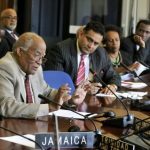 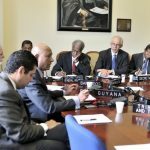 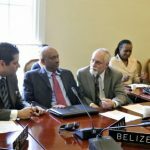 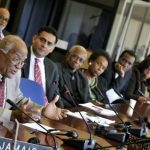 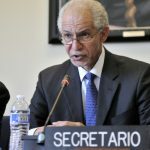 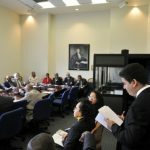 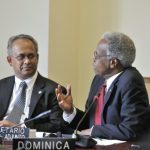 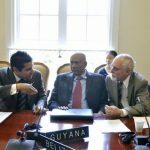 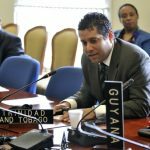 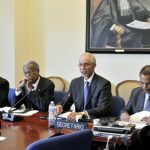 As Assistant Secretary General, Ambassador Ramdin, in the context of supporting the Caribbean, said he has pushed the Caribbean agenda in the OAS and cited a number of the issues he has advocated on behalf of the region. 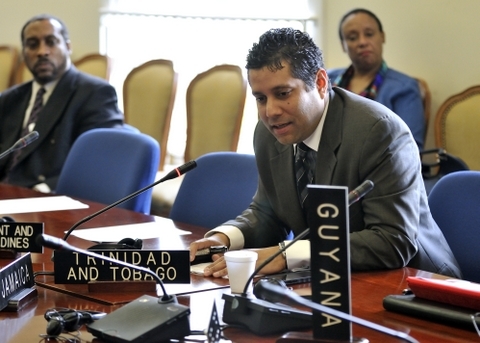 These, he stated, include: responses to natural disasters, a CARICOM development agenda, keeping Haiti high on the organization’s agenda, focus on issues affecting small states, including the region’s security issues, and working with the youth to mobilizing them in the context of CARICOM’s youth agenda, among other things. 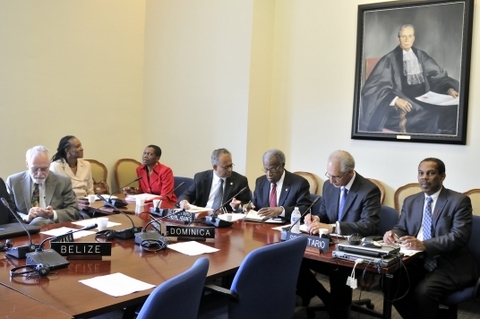 He stressed the importance for CARICOM to be aggressive in pursuing its agenda in the organization. 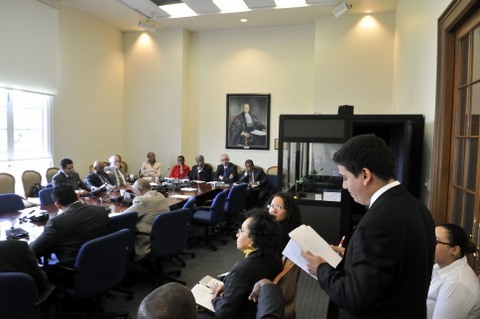 He noted that what counts is advocacy, whereby much of the Caribbean’s agenda will be facilitated. 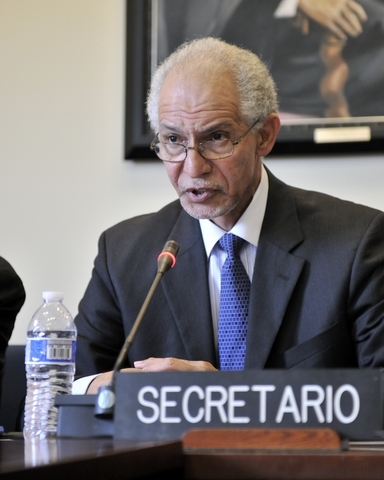 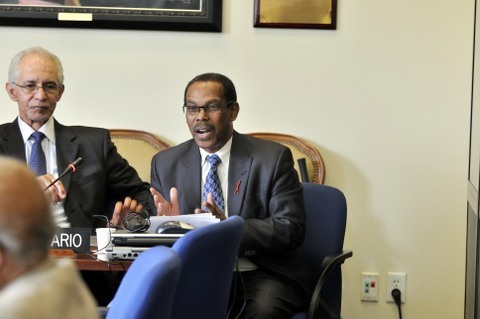 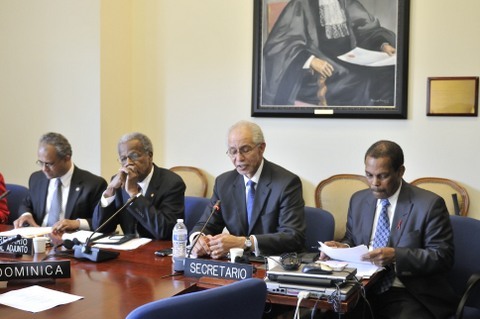 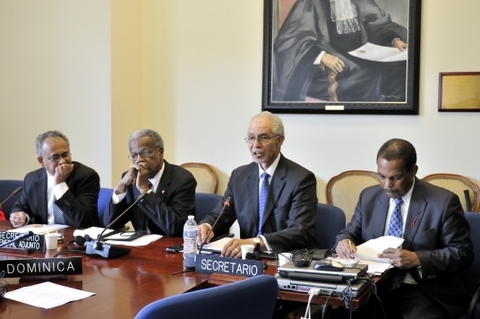 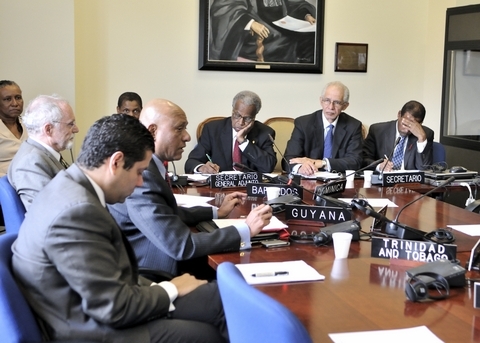 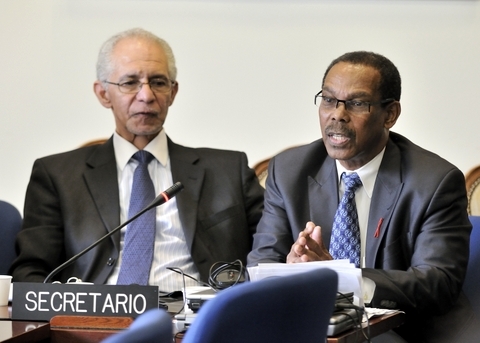 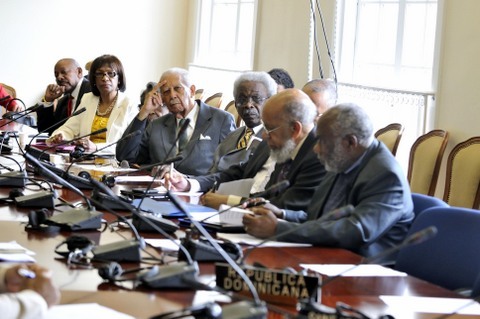 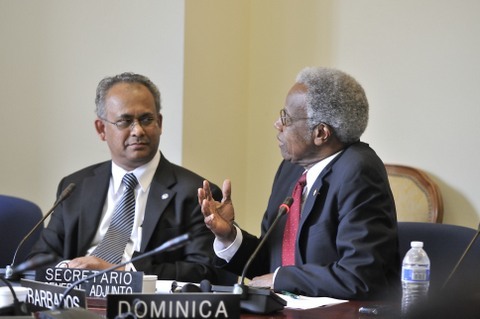 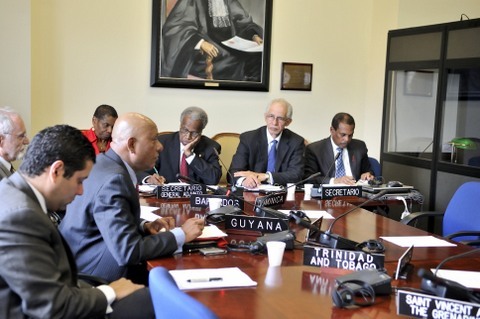 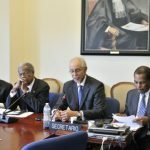 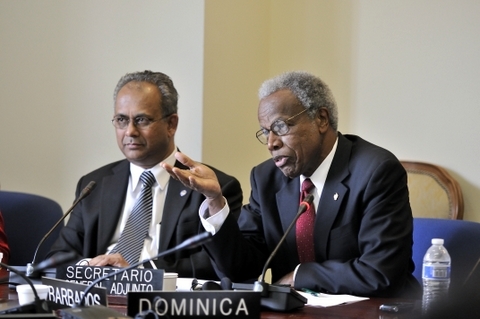 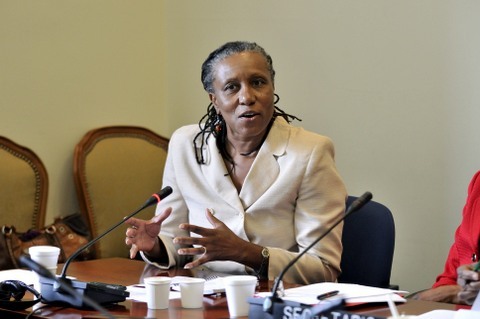 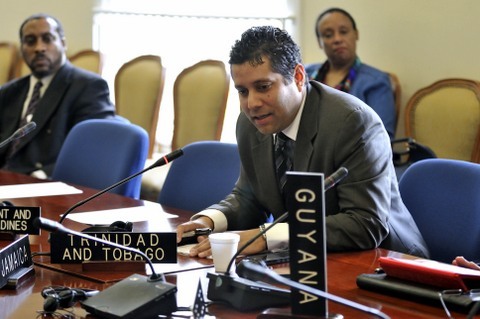 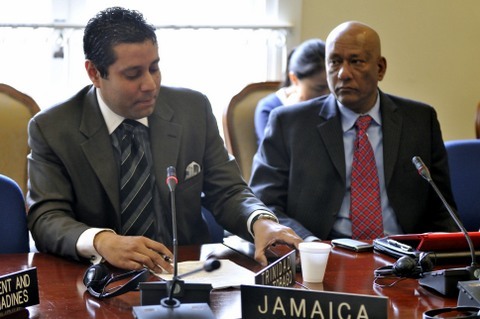 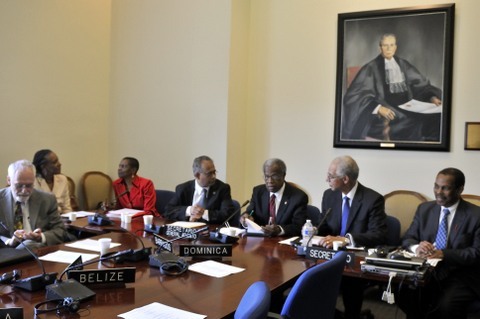 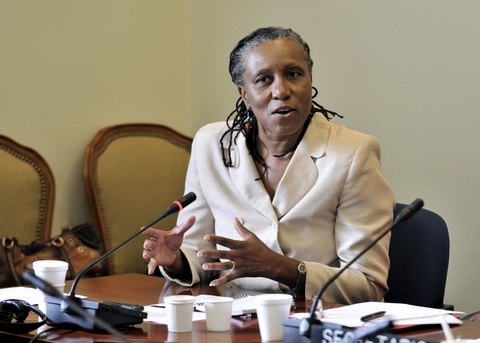 Ambassador Ramdin highlighted an example of leadership in the OAS by Trinidad & Tobago, a CARICOM member state, in initiating a program which will bring together leaders of Africa and the Americas together at the OAS later in April 2013. 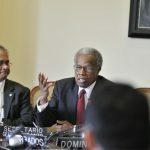 He also referenced one of his own initiatives to benefit the people of the Caribbean which is the third annual meeting of CEOs from the Caribbean and Central America set to take place in Guatemala later this year (2013). 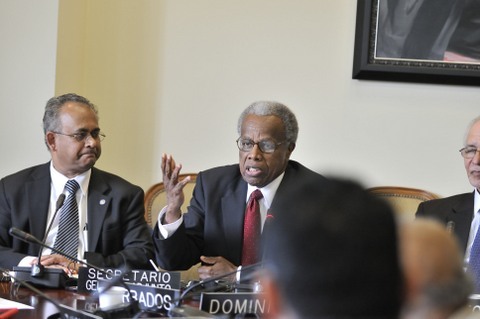 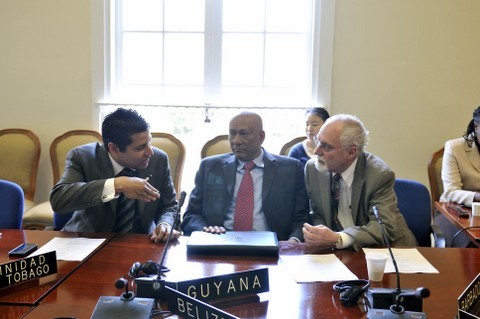 In highlighting the CARICOM agenda, he stated that it was important that it is advocated very strongly in the OAS. 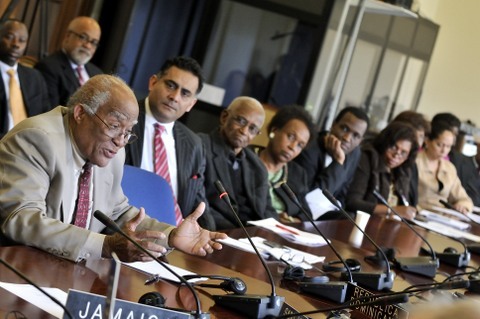 Sir George Alleyne in his remarks to the gathering, pointed to a number of successes in the regional integration process, including regional health care policies, the University of the West Indies, the broad acceptance of the CXC examinations, as well as other regional achievements, of which we should be proud, and which supported the premise that Caribbean integration is a reality. 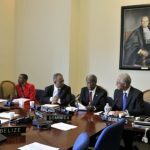 The question therefore is not whether Caribbean integration is a fact, but how we build on what we have achieved and move the process forward to deeper integration. 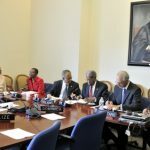 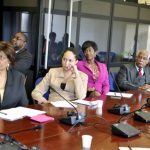 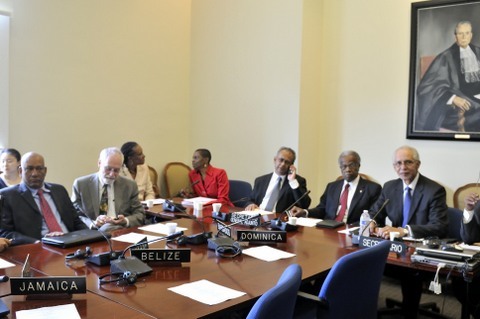 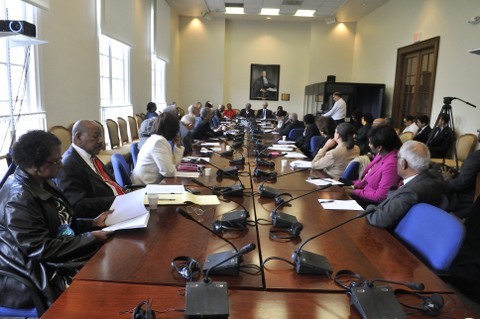 At the conclusion of the discussions, Ambassador Ward called on the Caucus of CARICOM ambassadors in Washington and the OAS to join with the Caribbean Research & Policy Center to convene a conference in Washington of the Caribbean Diaspora to discuss the Diaspora’s role in the Caribbean, including in furthering Caribbean integration. 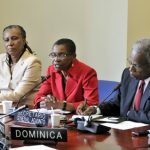 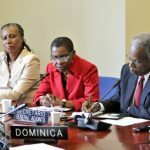 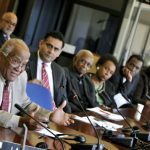 This was put in the context of not having any meaningful follow up by CARICOM and Caribbean states on the Caribbean Diaspora conference which was held as part of the 2007 Washington Conference on the Caribbean. 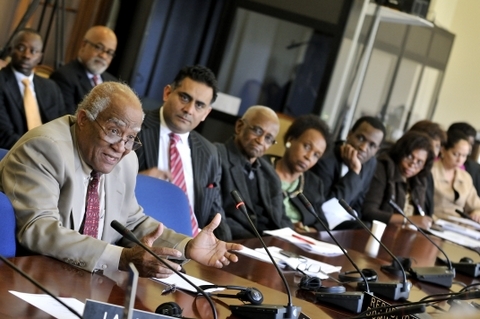 Ambassador Ramdin pledged his support in facilitating such a Diaspora conference.